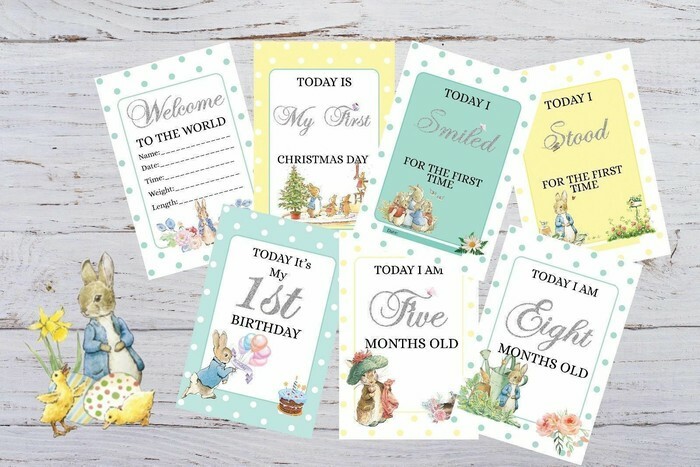 """"Available in Pink, Blue or Teal and lemon """
"All cards are now with ROUNDED CORNERS"
This lovely set of 28 milestone cards are a great way to record your baby's special moments. Or to use as Photography Props! Lgl's Baby Milestone Cards come lovingly packaged in a sweet organza drawstring pouch. They make the perfect gift for a Baby Shower, or a precious new arrival. 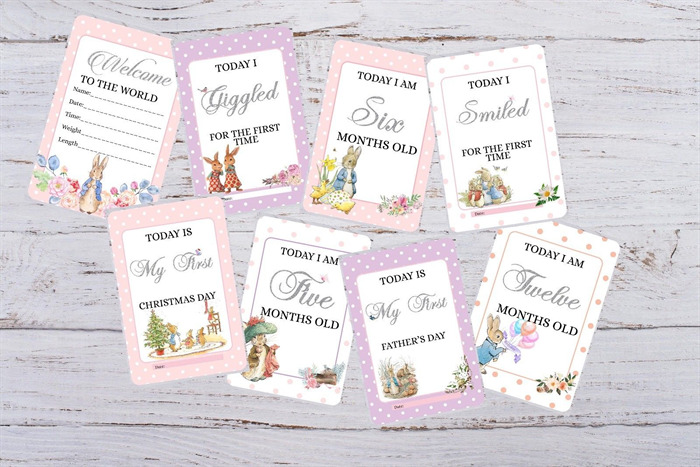 ~ Rounded corners - all our Milestone cards are now with rounded corners making it safer for baby!! 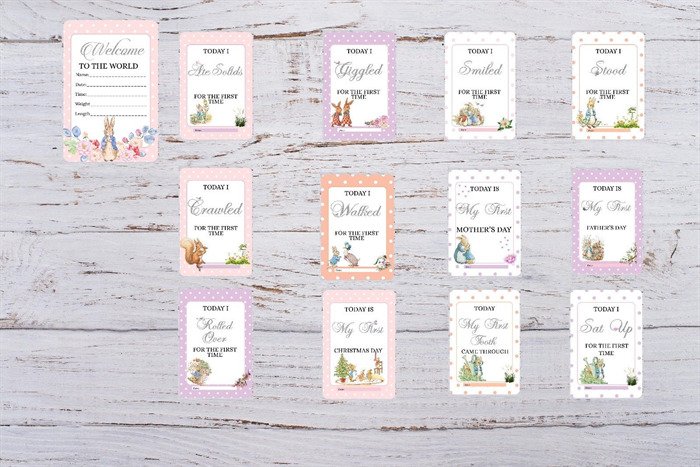 There are 28 Cards in this set which are professionally printed onto 300gsm card stock. Printed one side only. 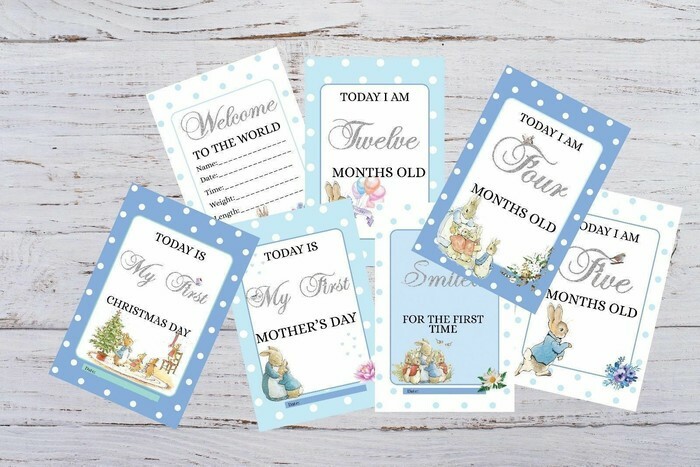 The date of your babies Milestone can be added on the front of the card in the section provided. We can also print room for these dates on the back of the card or any memories you wish to add on request. 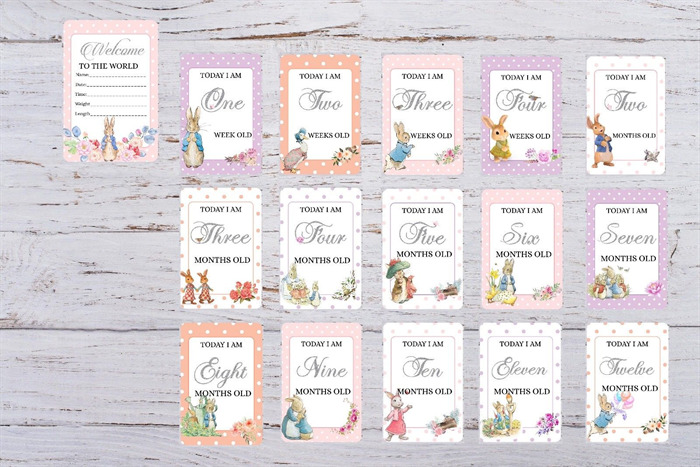 The date can be written on each Moments card on the ribbon to ensure you remember this special moment. Each order will be wrapped and Packaged. For any questions please do not hesitate to ask. I will be as helpful as possible to make sure you get exactly what you want.